Samsung has officially announced the latest flagship device, the Galaxy S8, and S8+. 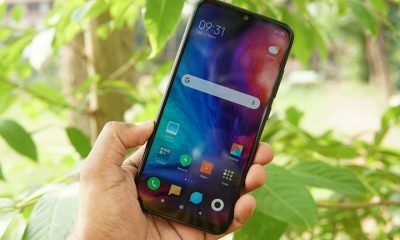 The new flagship devices come with lots of new features and improvements overs the previous device. It packs the Snapdragon 835, 4 GB of RAM and 64 GB ROM. It comes with 5.8 inches and 6.2 inches Super AMOLED display which looks simply beautiful. At the launch of the device, Samsung also announced a host of new accessories for The S8 and S8+. 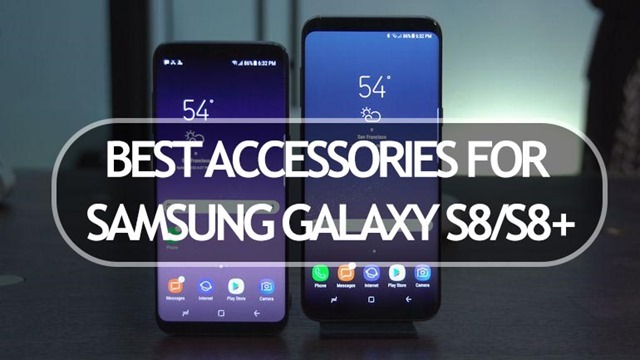 In this post, we will have a look at the best accessories for the Samsung Galaxy S8 and S8+. Samsung DeX Station is one of the new accessories or features of Galaxy S8 and S8+ which enables you to turn your Galaxy S8 or Galaxy S8+ into a true desktop PC experience. 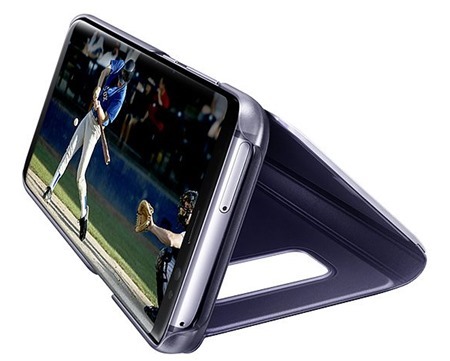 By docking the Galaxy S8 or Galaxy S8+ into the DeX Station, your phone will launch a special DeX mode and you can view the mobile on the connected external monitor and applications can be opened in multiple separate windows. You can also connect a mouse, keyboard, and Ethernet cable for added productivity. 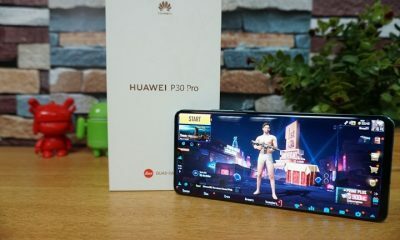 This is quite similar to the experience from Microsoft on Windows Phones. 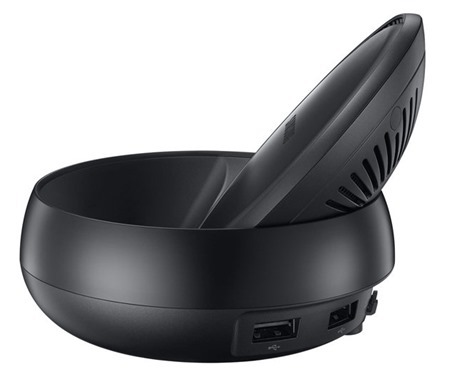 Samsung DeX Station comes with two USB-A 2.0, a LAN Ethernet, an HDMI output, and a USB-C charging port. This is a protective case for S8 and S8+ and it is a translucent matte cover that also acts as an adjustable stand. It provides the optimal viewing angle for landscape content. It also protects the screen, allowing you to swipe to control calls, music, and more without opening the cover. 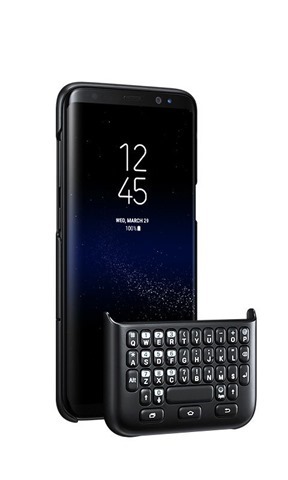 A lot of users might like the idea of having a physical keyboard and this is the purpose of keyboard cover from Samsung. For the times you want a tactile keyboard. Just snap it onto the front and start typing away, no charging required. Wireless charging has been one of the features of Galaxy flagship devices and it was also available in S7. This new wireless charger makes charging your phone as easy as putting it down. It functions as both a pad and a stand, holding the phone vertically or horizontally so you can give it a rest or keep on going while it charges. 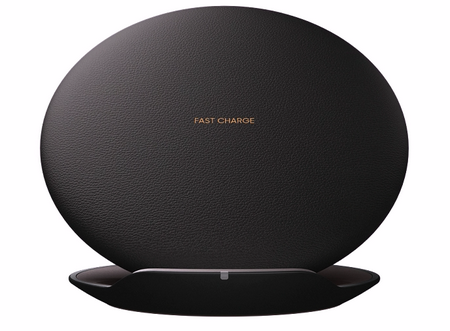 The wireless charger also supports fast charging. While the GR VR is not a new accessory, but the Gear VR with the controller is a newly launched accessory where you can use the Gear VR controller as a remote control to navigate your virtual reality with ease or use it as a gamepad complete with the trigger to win battles. Samsung’s Oculus-powered Gear VR headset and the accompanying controller will sell for $129 and ship on April 21. 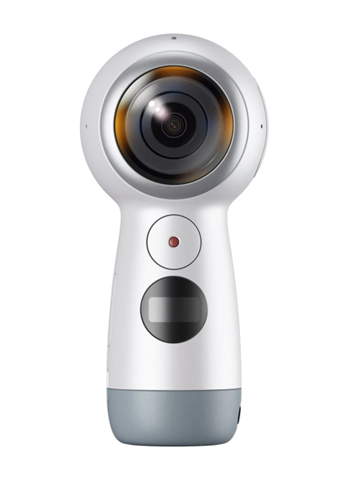 Gear 360 (2017) is an improved version of Gear 360 and it now lets you record in 4K or broadcast live, and then make it your own with the Samsung Gear 360 app. Gear 360 (2017) is made to catch the action all around you, and its sphere shape and dual cameras make that easy. It also comes with the space to record it all by inserting a micro SD card (up to 256GB).